From the author of the "lyrical and compelling" (USA Today) novel A Good American comes a powerful story of two friends and the unintended consequences of friendship, loss, and hope. For Robert Carter, life in his coastal Maine hometown is comfortably predictable. But in 1976, on his first day of eighth grade, he meets Nathan Tilly, who changes everything. Nathan is confident, fearless, impetuous--and fascinated by kites and flying. Robert and Nathan's budding friendship is forged in the crucible of two family tragedies, and as the boys struggle to come to terms with loss, they take summer jobs at the local rundown amusement park. It's there that Nathan's boundless capacity for optimism threatens to overwhelm them both, and where they learn some harsh truths about family, desire, and revenge. 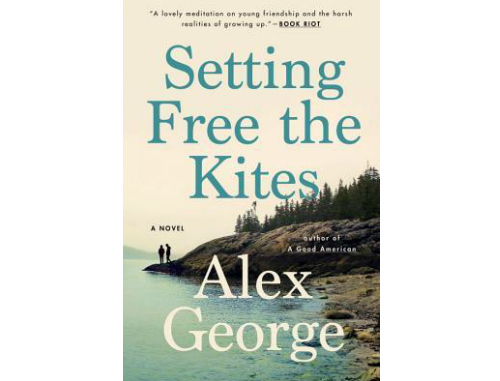 Unforgettable and heart-breaking, Setting Free the Kites is a poignant and moving exploration of the pain, joy, and glories of young friendship.